In order to ensure that our kids grow up to be happy, self-sustaining adults and combat the perilous rise of obesity in our community, we created Healthy Harlem— an innovative healthy living initiative designed to serve the community at scale. Through nutrition education, fun fitness activities, and parent engagement, Healthy Harlem is helping thousands of children and families learn how to better take care of themselves, make thoughtful choices, and establish life-long healthy habits. Over 40 percent of our students are overweight or obese, putting their health and their futures at risk. Now in its second year, Healthy Harlem is working with over 4,000 youth across 20 sites, making sure they get an hour a day of rigorous physical activity and 45 minutes a week of nutrition education. We start by collecting body mass data on every child. We then assign them to one of three increasingly intensive intervention plans based on our findings—the first of which is prevention, aimed at in instilling and maintaining healthy habits. Health Coordinators at each site work to ensure that Healthy Harlem is successfully integrated into the programming; devise fun and creative ways for children to get exercise, especially at sites with limited space and exercise equipment; develop incentive programs; and routinely track students’ height and weight to evaluate their progress. Sites serve only healthy snacks and water to keep our kids fueled, while inspiring, educational posters help keep them motivated. 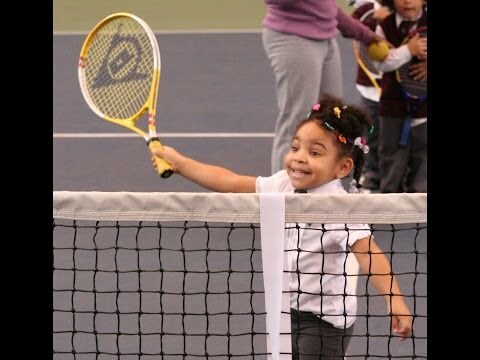 To help reinforce the Healthy Harlem message at home and promote widespread wellness, we are also working with 3,000 parents and members of the local community through cooking classes, a farmers market with free fruits and vegetables, fun exercise classes, such as Zumba and kickboxing, and Weight Watchers classes. Several of our program sites also offer Family Fit, where kids and their parents can exercise and learn about healthy eating the best way of all—together. Healthy Harlem, which is generously funded by the JPB Foundation, has been a game changer for kids and families in the Zone. Our evaluation partner, Mathematica Policy Research, recently published strong evidence that the program has made significant contributions to promoting healthy lifestyles among HCZ students—click here to learn more.